The Chenonceau Hotel created fairy atmosphere of France in the quiet area in the very centre of Moscow, near the Patriarchal Ponds. The nearness to the cultural sights of Moscow and its main trade streets gives the visitors a chance to make an amazing walk or shopping in the centre of the city. The nearest underground station is within five minutes walking distance. It will take you 25 minutes to reach the Kremlin, the Bolshoi Theatre and Red Square. 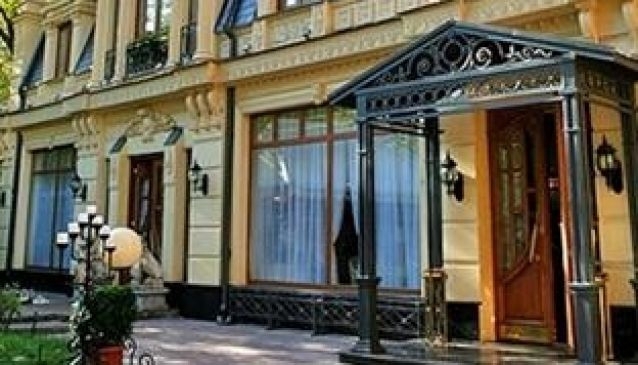 The Hotel offers nine comfortable rooms in classic style. Every room has a separate bathroom, TV, air conditioner, safe and mini-bar. There you can use shower accessories, bathrobe, slippers, shoe and clothes cleaners free of charge; the guests can also find tea, coffee and daily renewed mineral water. There is free Wi-Fi over the whole hotel area. The public hotel rooms are coloured in gold tones in baroque style. The corridors are decorated with the paintings and natural flowers. Appetizing buffet breakfast is offered to the guests. The Hotel is aimed to numerous traveler's categories from businessmen to unconcerned tourists coming to see the capital of Russia.